The Association of Producers, Packers and Exporters of Mexico (APEAM) presented the first of two commercials it will broadcast during Super Bowl LIII; the only fresh Mexican product that will have an ad in the Great Game. As is traditional, the marketing arm of the APEAM, Avocados From Mexico (AFM), will show how far people will go to win a prize of avocado in a 30-second commercial that will air on February 3, 2019 during the second quarter of Super Bowl LIII. For the fifth consecutive year, Avocados From Mexico will be present at the most watched sporting event in the world, in addition to celebrating one of the seasons with the greatest consumption of avocado in the US, by demonstrating that it is always worth eating avocado, now with the help of some canine friends. 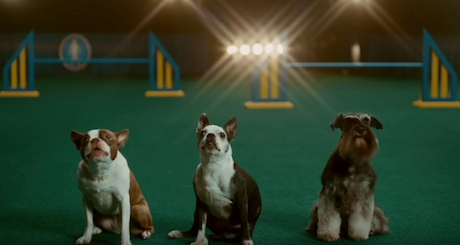 This year's commercial, which is titled "Top Dog," presents an impactive, but fictitious, 53th Annual Dog and Human Show. The tables are turned while the dogs watch their humans as they compete for Avocados from Mexico, executing different orders, from sitting to moving from one place to another. Renowned actress and singer Kristin Chenoweth, who has won an Emmy and Tony award for her work on television and the theater, stars in the ad where she hosts the show. This year, AFM's "Big Game" campaign aims to show that it is always worth eating avocados because they are healthy, delicious, and always in season. Over the years, as part of the intense promotion in that country, the result of the efforts of producers and packers, AFM has told dynamic stories of the versatility, seasonality and health benefits of the avocado (good fats). "I know that fans really expect to see Avocados From Mexico's announcement year after year because laughter brings people together," said Kristin Chenoweth. "I'm really excited to be part of this campaign this year. It involves my two favorite things: avocados and dogs! I can't wait to show people throughout the country that it's always worth eating Avocados from Mexico, and making people laugh." This year, AFM launched "Anything For Avos," in partnership with Adopt A Pet - the largest non-profit pet adoption web service in the US - as part of its marketing efforts around the Big Game. By accessing the site https://avocadosfrommexico.com/big-game/, you can see a digital center of the Great Game that provides consumers in the US access to fun and interactive content that highlights the value of Avocados From Mexico. AFM offers more than 20 multi-experience activations on this site, as well as content on its main platforms, including Snapchat, Instagram, Facebook, Twitter and Pinterest. Adopt A Pet will support the ad that involves dogs and that will attract consumers in a unique way beyond the commercial transmission. The idea is, through artificial intelligence, to pair people with a dog to adopt, based on their answers to some questions about their avocado and lifestyle preferences. As a complement, AFM has partnered with The Onion, a US satirical news organization, to bring to light some important - and fictitious - news around the idea that a technology that allows humans to communicate with dogs has been developed. In the third week of sending avocados for this event, Mexico sent more than 1,300 trucks to the US, i.e. one truck every 6 minutes. This week, the country broke again the harvest and export records. According to the Integrated Avocado Harvest System (SICOA), we harvested a historical 39,307 tons and exported 32,906 tons. This week, which is the fourth week of the year, Mexico expects to make approximately 216 shipments per day.